She’s got 10 skins so far. Brigitte is the next Overwatch hero to join the franchise, but she entered the game’s test server without any skins. After teasing one of her Legendary skins this morning, Blizzard has updated the Overwatch PTR will a full suite of new skins. Her skins play off her backstory—she’s Torbjörn’s daughter and Reinhardt’s squire—and armor. Here are all Brigitte’s skins so far on the Overwatch PTR. Blå is a Rare skin that costs 75 Overwatch credits. 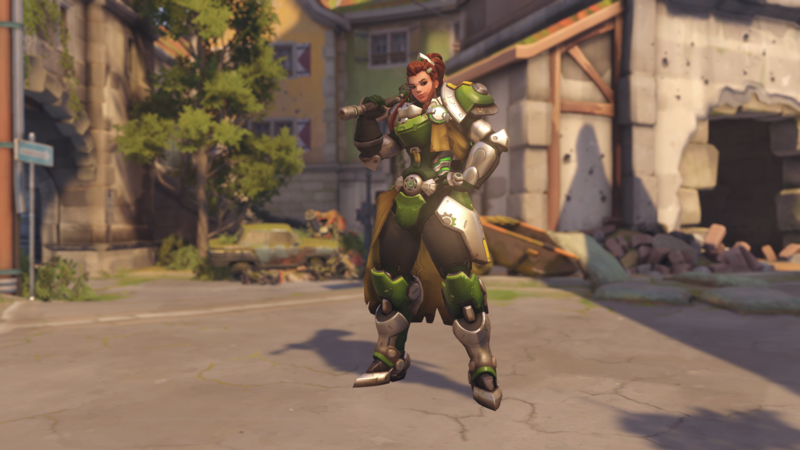 Grön is a Rare skin that costs 75 Overwatch credits. Plommon is a Rare skin that costs 75 Overwatch credits. Röd is a Rare skin that costs 75 Overwatch credits. Carbon fiber is an Epic skin that costs 250 Overwatch credits. 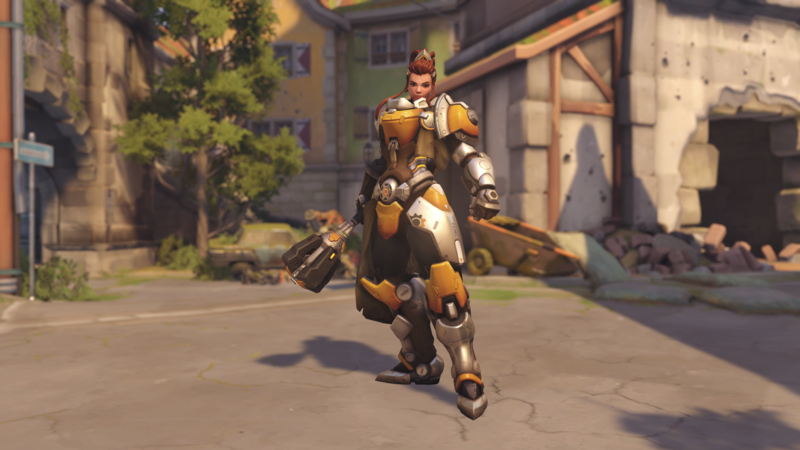 Ironclad is an Epic skin that costs 250 Overwatch credits. Mechanic is a Legendary skin that costs 1,000 Overwatch credits. Mani is a Legendary skin that costs 1,000 Overwatch credits. Sol is a Legendary skin that costs 1,000 Overwatch credits. Engineer is a Legendary skin that costs 1,000 Overwatch credits. 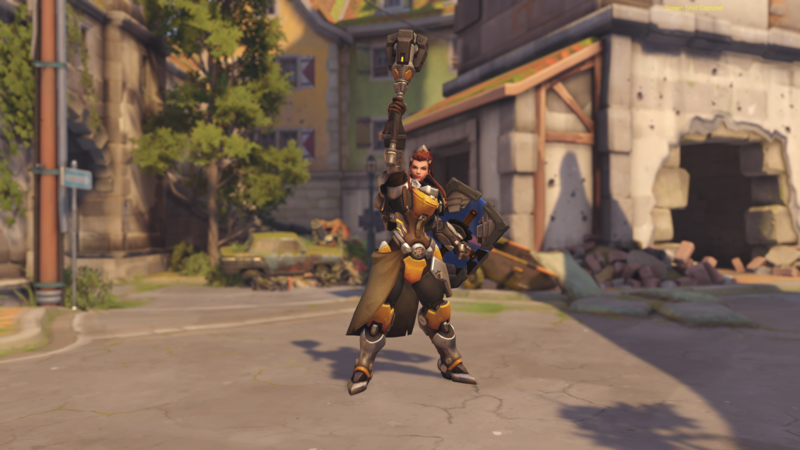 Here are Brigitte’s new victory poses. All of Brigitte’s victory poses cost 75 Overwatch credits. 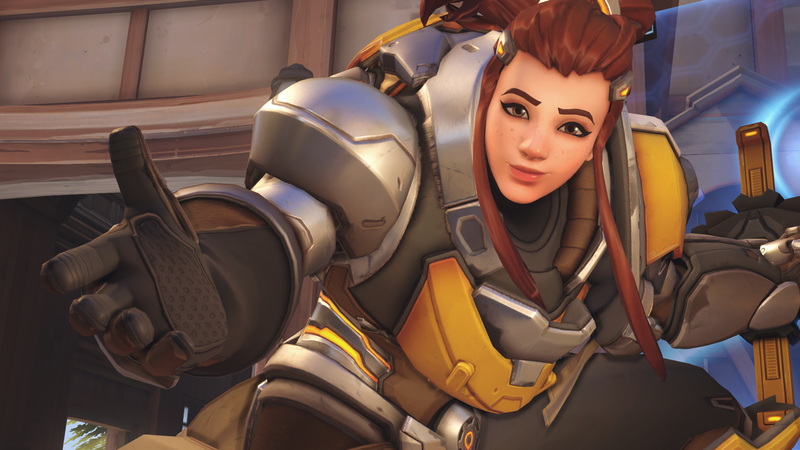 Brigitte will remain on Overwatch’s PTR until Blizzard deems her ready for the live servers. There’s no specific date for that just yet, but new heroes typically stay in testing for at least a few weeks.